some maintenance are in order! 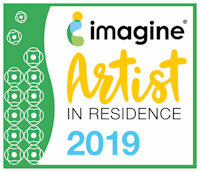 along with the amazing range of inks and products available from Imagine Crafts. 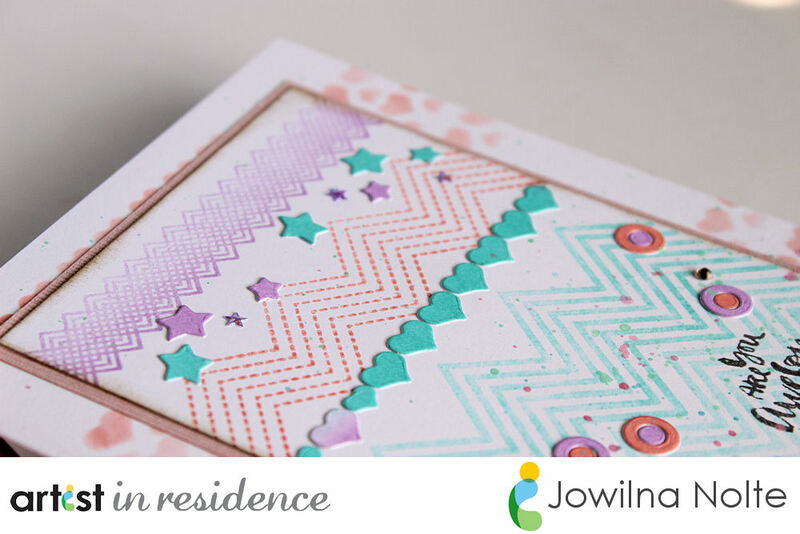 I used the stunning and versatile Chevron stamp set Zigs&Zags CFSS-13-015 to create a colourful background for my card. On top of the stamped background I used the Fun-Fetti die CFD15-105 to add some fun elements in the same colour scheme as the stamped chevrons. step1 – In small circular movements add some color using three different ink colors. Apply a light pressure only to transfer the VersaMagic ink. 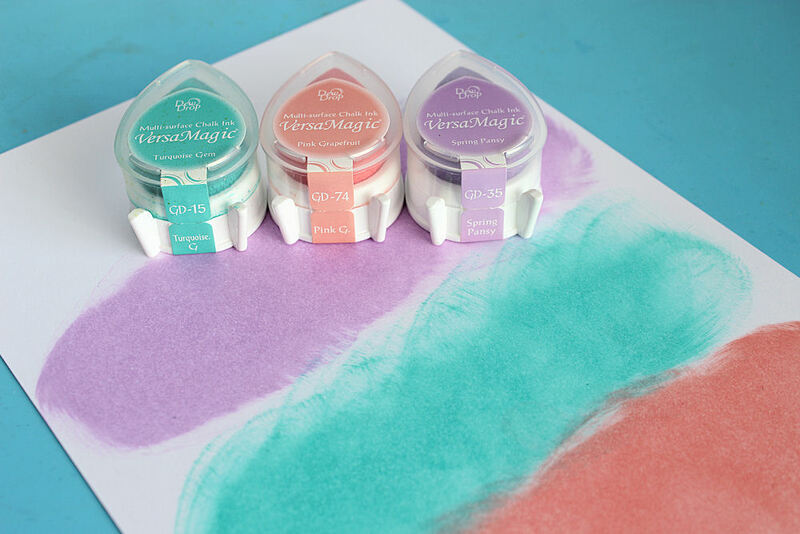 step 2 – Use the same three VersaMagic ink colors and ink the stamp. 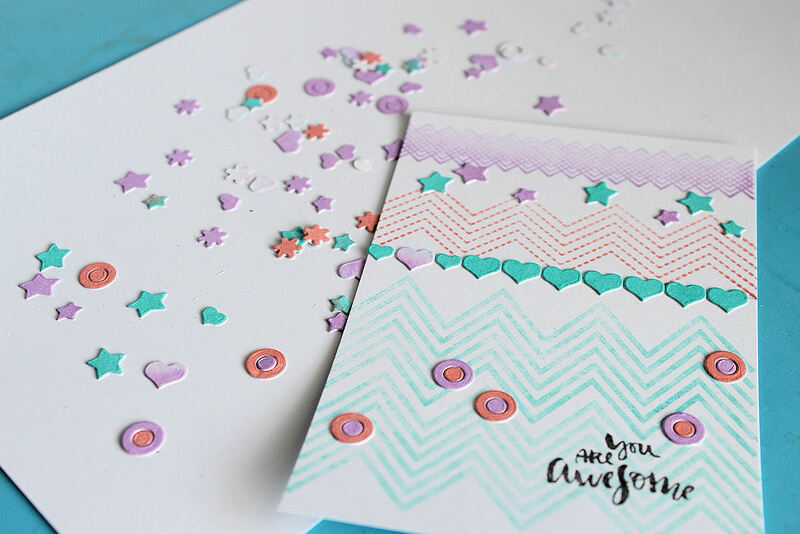 Stamp the bottom Chevron once, and the the entire stamp again to create the card background. step 3 – Die-cut the Fun-Fetti die out of the colored cardstock piece repeatedly to get a colorful array of confetti pieces. 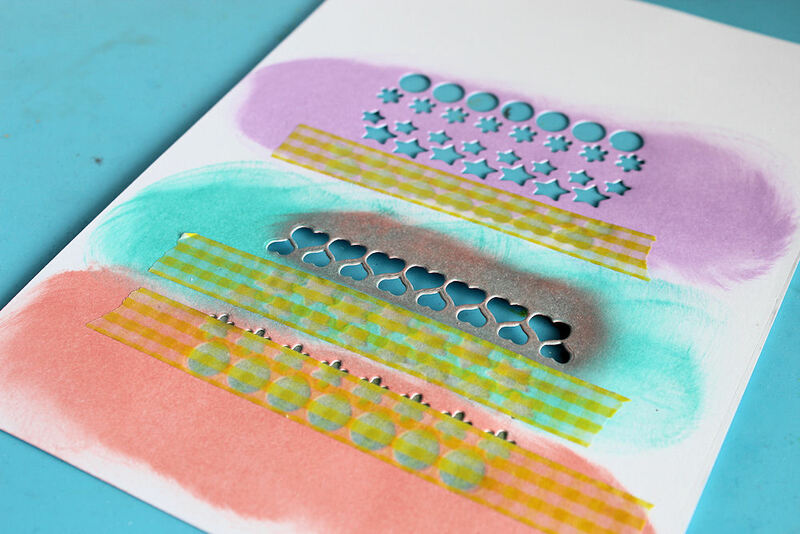 step 4 – Adhere the Fun-fetti pieces to the stamped background piece. I scattered the pieces across the card in a fun and random manner. 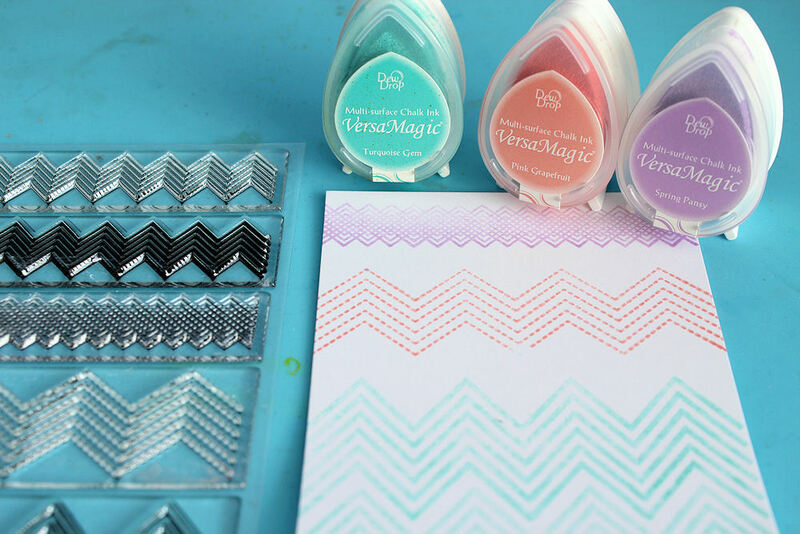 step 5 – Use some washi tape and tape off the die-cut piece leaving only a selected portion open. This way you are creating your own strencil. 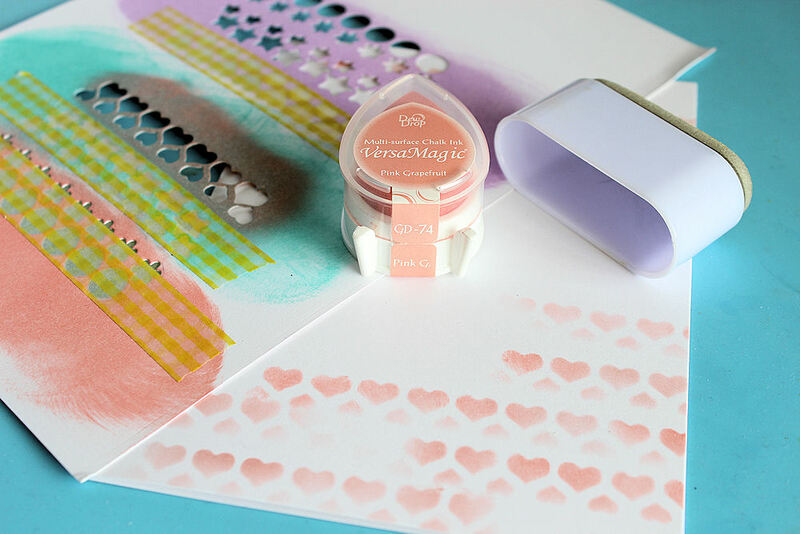 step 6 – Use a large ink sweeper and Pink Grapefruit Versamagic and stencil the heart pattern onto your folded card repeatedly to create a decorative element. 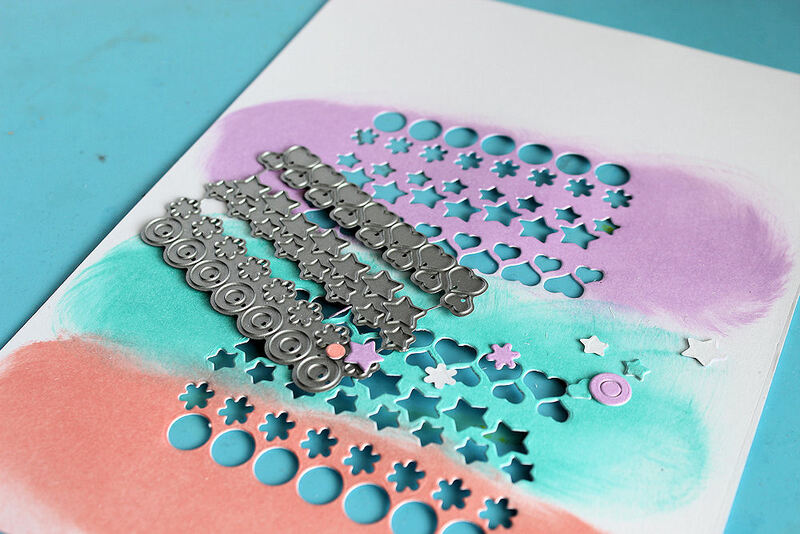 Adhere the stamped panel to the stenciled card piece and finish off your card with diamante and star confetti pieces. 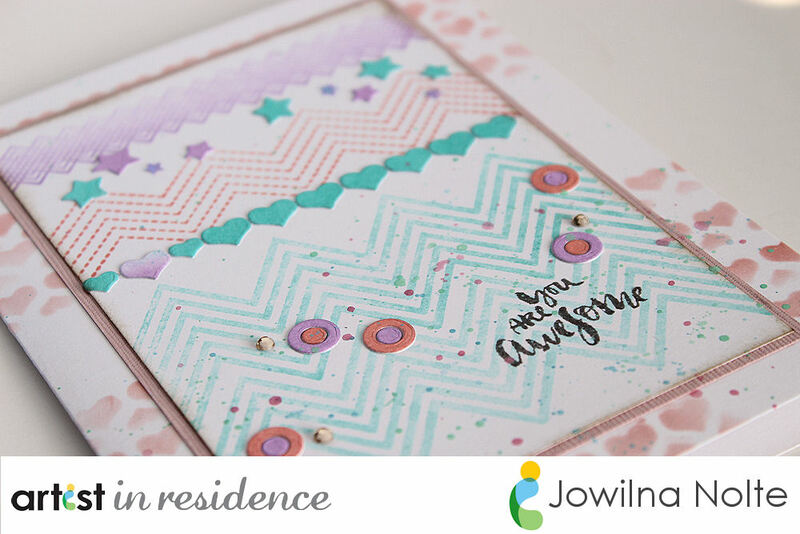 Add a stamped sentiment using Versafine ink. 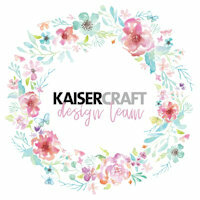 Thank you for hopping by – I hope you are inspired by the beautiful Cas-ual Fridays stamps and dies and how you can create beautiful elements by combining them with the fabulous Imagine Crafts Inks. 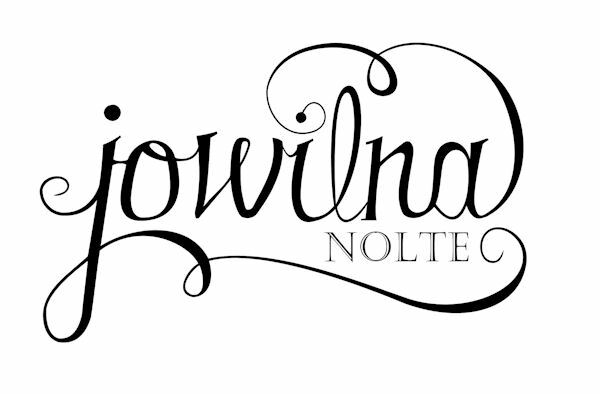 Remember you can WIN BIG by being a part of the blog hop by leaving us some comments and love.